Our DC powered 3-foot fold down or standard crane are recommended for Enclosed Service Bodies. We offer permanent mounts or removable mounts. 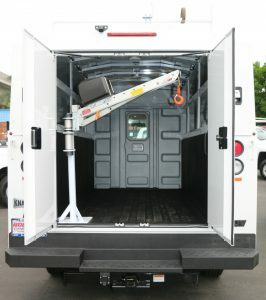 The removable mounts give you the flexibility of removing the crane and mount to utilize the entire cargo space. SpitzLift packages come with installation hardware, mounts, crane and are retro-fit friendly. 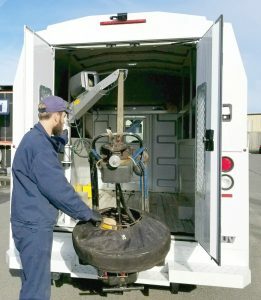 SpitzLift DC powered cranes are powered by the vehicle’s battery via a quick connect wiring harness. Every SpitzLift is load tested, comes with a load test certification, and meets ASME / OSHA standards. 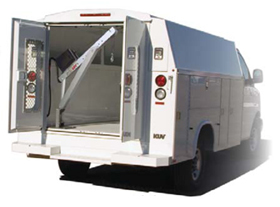 Load capacity – 900 lbs. Crane weight – 36 lbs. 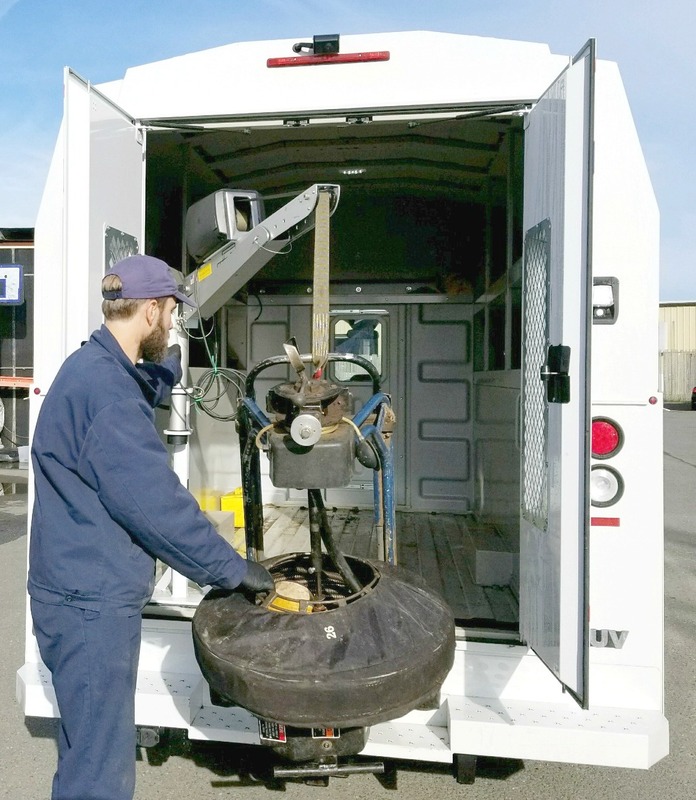 Load capacity – 650 lbs. Crane weight – 45 lbs.